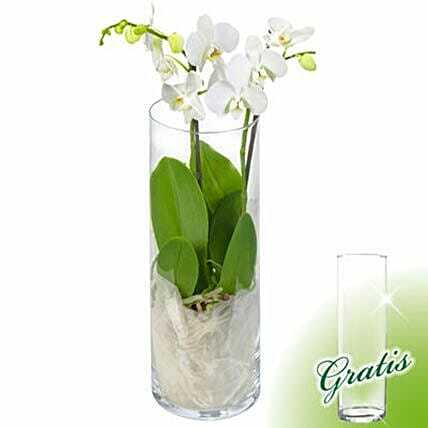 Beautiful orchid with white blossoms in a nice vase. The orchid is finished and only has to be put in the vase. Height about 40cm.